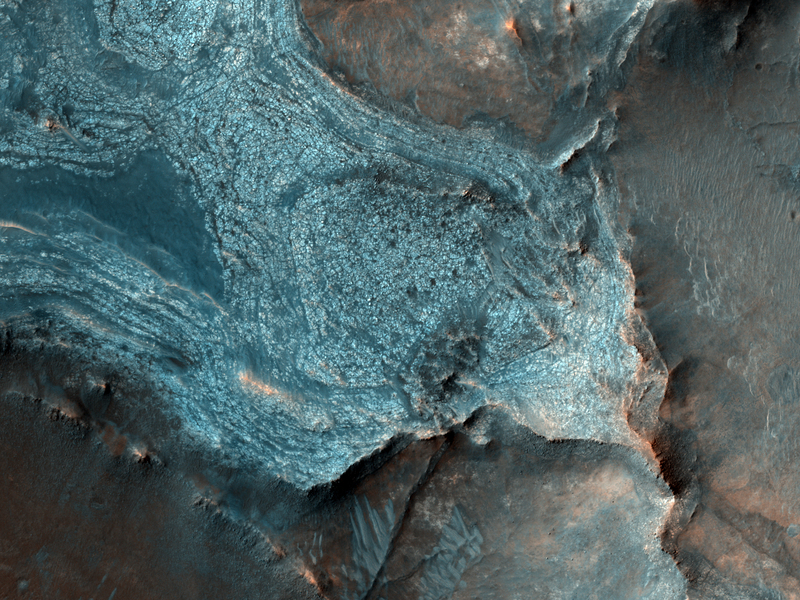 Today's Image of Mars shows colorful layers in Nili Fossae that are thought to contain carbonates. On Earth carbonates are commonly formed by marine organisms! Could it be that there was once life in the waters of Mars? Maybe! Despite this tantalizing possibility, most scientsts are more reserved in their assessments, believing instead that there is some currently unknown reason why the carbonates formed on Mars. However, the scientists do say that water was most likely involved in the formation of the carbonates.